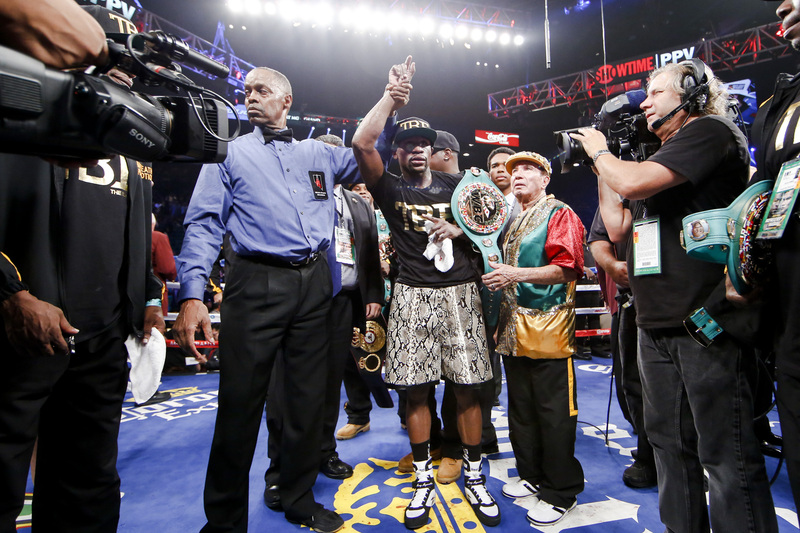 After 24 rounds of boxing with Marcos Maidana, Floyd Mayweather is still the undisputed pound-for-pound champion. Mayweather (47-0, 26 KOs) successfully defended his WBC and WBA Welterweight and WBC Super Welterweight World Championships with a unanimous 12-round decision victory in a rematch with Argentine slugger Maidana (35-5, 31 KOs) on Saturday in front of 16,144 fans at the MGM Grand Garden Arena, live on SHOWTIME PPV®. This Post was posted in Boxing. Bookmark the permalink.